Welcome Partners! Join us in Orlando on Dec. 4-8 for ShoreTelOne! The world is changing as it becomes more connected. People to people. People to machines. Machines to machines. Thriving in today’s competitive landscape requires more than the traditional business communications of the past—today’s customers want seamlessly integrated solutions that make interactions simple. Interact! Come to ShoreTelOne and experience ShoreTel’s evolution beyond unified communications. Discover how our portfolio fosters the rich interactions customers demand while offering ShoreTel’s signature flexibility and brilliant simplicity. Whether your focus is on onsite, cloud or hybrid solutions, you’ll gain valuable insights into growing your revenues and profitability through keynotes and breakouts featuring best practices, usage scenarios, customer stories and compelling partner testimonials. Interact! The ShoreTelOne Global Partner Conference offers unique networking opportunities, business development connections and visionary thought leadership. See how our growing partner ecosystem can benefit your business. Pay your $500 today to secure your spot at the conference. Travel and accommodations are not included in the registration fee. Click the date to see the conference schedule for that day. Schedule subject to change. Sunday and Monday include pre-conference training sessions. "Good to see the execs form ShoreTel available for ad hoc conversations." Enhance your ShoreTelOne Global Partner Conference experience with free certification training. On the two days leading up to the conference – December 4 & 5 – ShoreTel University will provide one- and two-day courses beginning at 1 p.m. on December 4. Don’t miss your chance to complete the following ShoreTel University Certification training free of charge. This course provides a deeper dive into the ShoreTel Connect CLOUD offering from a sales perspective. The opportunity to transform your business with MRR and the growth opportunity of UCaaS will be emphasized. You will learn how to qualify, position, and sell ShoreTel Connect CLOUD. Each day, the solution will be dissected and participants will have the opportunity to deliver a short presentation of what they have just learned. This course is a must for sales and solution architects desiring a deeper knowledge of CLOUD. You will receive an overview of the key parts and functionality of Connect Telephony for Microsoft. We will discuss the prerequisites for including compatibility LYNC server, Skype and ShoreTel Connect. How install and the limitations of the ShoreTel Connect plugin within the Microsoft LYNC product. Lastly, we demonstrate the use of the client plugin for basic call control and advanced features, like availability status. Partner Start instructs ShoreTel Connect CLOUD Enabled Partners in how to implement a Connect CLOUD deployment on behalf of their customers. The Partner acts as the customer’s Project Manager, handling all facets of implementation and communication with ShoreTel on the customer’s behalf and charging accordingly. Once Partner Start training has been completed, our Partners will understand all steps of this unique implementation process and will be able to submit all required forms and documentation accurately, ensuring the timely completion of all milestones. Additionally, Partners will be familiar with Connect CLOUD architecture, user management and call flow management, allowing them to properly implement ShoreTel Connect CLOUD for their customers. Finally, Partners will be able to identify what implementation tasks that must be completed by ShoreTel staff. After completing this course, you will be able to configure and integrate Google Apps with the ShoreTel Connect ONSITE and CLOUD platforms. This capability provides a web-based client experience for customers who are unable to deploy the ShoreTel Connect desktop client. This integration will allow users to search and dial their ShoreTel and Google contacts, click-to-dial phone numbers in their e-mails, add their ShoreTel conference bridge to Google Calendar events and even join ShoreTel conferences with one click, all from within the Chrome browser. You must hold a ShoreTel Connect Unified Communications Support Engineer (UCSE) certification to be eligible for this class. The two-day Edge Gateway Course describes the role and configuration of the new ShoreTel Edge Gateway (EGW) in the ShoreTel Connect ONSITE architecture. Upon completing the course, the student will be able to demonstrate the multiple forms of remote access that the EGW can provide, create an EGW virtual machine, verify the correct configuration and deployment of EGW NAT, DNS and certificates, and perform basic administrative and troubleshooting tasks. Social selling continues to be an essential skill as sales and marketing teams shift their approach to align with today’s modern buyer. In fact, 91% of social sellers report an expected increase in their company’s sales revenue in the next year. Despite this, most companies have not fully implemented social selling in their sales processes, and 72% of sales professionals feel they are not proficient with social selling. Join us for an engaging training program to learn how top sales and marketing teams use social selling to hit their quotas, achieve shorter sales cycles – and walk away with a plan to help your organization achieve similar results. This training will detail how top performers utilize social selling tactics to increase qualified leads, improve sales intelligence and ultimately close more deals faster. Bonus: Each attendee will receive a Social Selling Playbook for ShoreTel Partners that includes actionable strategies and tactics for implementing social selling best practices across their organization. The following is a list of the breakout sessions offered at the ShoreTelOne Global Partner Conference. Registration for the breakout sessions will open soon. We have an exciting menu of sessions whether your focus is sales, marketing, technical or business. In the increasingly competitive world of financial services, agile customer interactions are the most critical outcome for credit unions, banks and other financial institutions. Cloud plays a major role in this critical customer imperative because of the operational benefits it promises including, scalability, flexibility, and usage control. With 61% of financial institutions developing a cloud strategy within their organizations, technology buying and delivery patterns have fundamentally changed. This session will cover financial institutions approach to cloud services, security concerns and how to position ShoreTel within the ever changing landscape. Social selling continues to be an essential skill as sales and marketing teams shift their approach to align with today’s modern buyer. In fact, 91% of social sellers report an expected increase in their company’s sales revenue in the next year. Despite this, most companies have not fully implemented social selling in their sales process, and 72% of sales professionals feel they are not proficient with social selling. Join us for an engaging training program to learn how top sales and marketing teams use social selling to hit their quotas and achieve shorter sales cycles – and walk away with a plan to help your organization achieve similar results. This training will detail how top performers utilize social selling tactics to increase qualified leads, improve sales intelligence, and ultimately close more deals, faster. Bonus: Each attendee will receive a Social Selling Playbook For ShoreTel Partners that includes actionable strategies and tactics for implementing social selling best practices across their organization. Marketing campaigns are a great start to demand generation, but they won’t generate all the leads you need to grow your business. You need a mix of marketing and sales strategies to attract and convert new prospects. New technologies and applications are driving fascinating and profitable opportunities for enterprising business owners. At the same time, status quo has never been more dangerous. What made you successful in the past may not move the needle in the future. How do you purposefully build and execute on new opportunities? How do you prevent your business from being a causality in this rapidly changing business environment? This session will show you the success formulas for building a healthy revenue pipeline that avoids risky marketing schemes and drives “sales ready” conversations for higher lead to sale conversions. Take a journey thru the three deployment options made available thru the Connect solution and what “connects” them all together. Experience a live demo of the Connect Client to learn how it transcends and unifies CLOUD, ONSITE and HYBRID. Next, we will review the top three advantages of each deployment model and end with examples of how/why we won in each of these disciplines. Grow Your Wallet Delivering Peace of Mind – TechConnect Solutions Do Both! As a ShoreTel Channel Partner, having an ecosystem comprised of diverse software applications and devices verified with ShoreTel Connect helps you meet additional customer needs. TechConnect’s partner solutions extend the capabilities and enhances the functionality of ShoreTel Connect. • Offer solutions that meet customer’s needs and provide peace-of-mind. We will discuss how partners in NA, EMEA and APAC can change their financial model from a one time product sale to a recurring revenue cloud model. We will focus on revenue, gross margins and operating expenses as well as discuss how to sell cloud to a CFO. ShoreTel is ramping up its Contact Center business in 2016 by launching multichannel Connect Contact Center for CLOUD. This solution is designed for mid-market customers who need a robust set of features for an affordable price. It includes inbound voice, outbound voice, email and chat. We will focus greatly on unifying Connect Contact Center and Flex Contact Center throughout 2017. The session will also cover practical measures to increase revenue in the mid-market contact center solution on CLOUD. Join us to learn about the contact center enhancements made this year and planned changes in the coming year. In this panel session you will hear what Americas specific industry analysts are saying about their markets regarding general trends, customer spending, and adoption of UC, UCaaS and Hybrid UC. Learn who the decision makers are for the solutions, what challenges companies are trying to solve with their investments, what they are looking for from their vendors and their channel partners, and how they are planning for the future. Learn how to take advantage of their findings to differentiate yourself and expand your business/revenue streams. In this panel session you will hear what EMEA specific industry analysts are saying about their markets regarding general trends, customer spending and adoption of UC, UCaaS and Hybrid UC. Learn who the decision makers are for the solutions, what challenges companies are trying to solve with their investments, what they are looking for from their vendors and their channel partners, and how they are planning for the future. Learn how to take advantage of their findings to differentiate yourself and expand your business/revenue streams. In this panel session you will hear what APAC specific industry analysts are saying about their markets regarding general trends, customer spending and adoption of UC, UCaaS and Hybrid UC. Learn who the decision makers are for the solutions, what challenges companies are trying to solve with their investments, what they are looking for from their vendors and their channel partners, and how they are planning for the future. Learn how to take advantage of their findings to differentiate yourself and expand your business/revenue streams. Thousands of school districts have selected ShoreTel, come and find out why! Case Studies on Education ShoreTel Connect deployments, define Education in the Cloud and conquer procurement. Healthcare provider organizations lose about $12 billion annually as a result of poor communication among their multi-professional teams. The ability of these teams to efficiently interact is critical to patient care delivery and stemming this ever-expanding expense burden. This session will identify the primary communication challenges of healthcare providers and how to position ShoreTel to address these challenges and improve their overall facility communications. Learn how ShoreTel SIP provides an industry unique end-to-end solution that can simplify your customer’s SIP trunking deployments. Take all the uncertainty around interoperability off the table and add a solution to your portfolio that delivers a repeatable recipe for SIP success to your ShoreTel premise customers. As our CLOUD customer base continues to rapidly increase, ShoreTel’s internal programs, tool and processes evolve to deliver the highest quality customer journey from the start. During this session, Kerrin Parker (AVP, CLOUD Services) and Nir Galpez (VP , Global Technical Support) will share recent improvements as well as plans for continuous enhancements, including new opportunities for our Partners’ increased participation with PartnerStart. Join us to learn how to interact with ShoreTel’s Communications Platform as a Service solution, ShoreTel Summit. The CPaaS market is exploding and this session will educate you on the CPaaS business model, ShoreTel’s Summit platform, customer types and use cases and how you successfully monetize this business model. As our customers continue to expand their usage of technology to increase the efficiency and competitive edge of their businesses, their technical requirements for a comprehensive unified communication solution have also expanded. Integration with CRMs, data driven call routing, and full functionality with suites such as Google apps are examples of features that are core customer requirements rather than optional extras. ShoreTel Advanced Applications allow us to ask our customers: How do you sell? How do you service? What are the returns on your marketing campaigns? And to then enable them to do all of these things better. This session provides a competitive overview of the ShoreTel differentiators driven by our unique architecture and design. We compare ShoreTel solutions with leading competitors, and provide insights for positioning ShoreTel strengths against competitors giving you a strategic advantage in the market. Intro to ShoreTel Teams & Workspaces: What it is and what’s coming next. Ever think you just can’t win when a consultant is involved on a project? Well, you can! A panel of industry expert consultants will tell you how; providing “tricks of the trade”, best practices, and advice on building successful consultant relationships, along with tips on creating a winning RFP response, presenting a winning demo, and more. Featuring an extended Q&A session. Pick the consultants’ brains, air your concerns, and solicit honest advice and feedback. Recent studies show that consultant involvement in UC and UCaaS projects is on the rise! Who better to help you win than consultants themselves? Gain insight into ShoreTel’s vision, product strategy and two year directional roadmap that will lead the market with competitive differentiation. Learn about the evolution of the Connect client, new mobility capabilities, teams, collaboration, video and contact center as well as plans to evolve our cloud offering so partners can be involved in most aspects of the service delivery. Gain insight into ShoreTel’s vision, product strategy and two year directional roadmap that will lead the market with competitive differentiation including specifics for the EMEA region. Learn about the evolution of the Connect client, new mobility capabilities, teams, collaboration, video and contact center as well as plans to evolve our cloud offering so partners can be involved in most aspects of the service delivery. Gain insight into ShoreTel’s vision, product strategy and two year directional roadmap that will lead the market with competitive differentiation including specifics for the APAC region. Learn about the evolution of the Connect client, new mobility capabilities, teams, collaboration, video and contact center as well as plans to evolve our cloud offering so partners can be involved in most aspects of the service delivery. Connect is more than a cloud or premised-based solution. Connect CLOUD, Connect ONSITE and Connect HYBRID provide a solution that doesn’t force your customer to choose one deployment method. Connect provides you with the ability to leverage all three deployment methods to be able to meet each customer’s specific business needs and challenges. Please join this session to learn how to leverage Connect during the buyer’s journey to create a differentiated solution that will address your customers’ desired outcomes. We will review discovery, demo and design elements to be able to play offense and put the competition on defense. We will reserve time for a Q&A session with several of our Senior Solutions Architects. The Connect Solution provides your existing ShoreTel premise and Sky customers with several great migration options; Connect CLOUD, ONSITE and HYBRID. Customers can migrate from Sky to Connect CLOUD, ST 14.2 to Connect CLOUD or ONSITE, and ONSITE customers can leverage several HYBRID services. The breadth and depth of the options Connect provides allows you to treat the migration process as a business consultant and add significant value and stickiness to your current customer relationships. This session will outline the considerations and business opportunities available with Connect migrations. We will discuss technical, operation, user experience and strategies with tactics that you can employ with your existing customers. This session provides an overview of the competitive tools available for you when differentiating ShoreTel solutions with leading competitors. We will show you which tools are available including competitive battle cards, and overviews and how to access these tools. Hear from Senior ShoreTel Executives and their teams on the future of ShoreTel products and services. This interactive panel discussion will provide a view of the solutions roadmap and what if means to our partners. Attendees will have the opportunity to ask candid questions of the product, engineering and test teams. Come and get your questions answered! The opportunity to leverage a reoccurring revenue model in your business is ever growing and customers continue to look for a cloud solution that best fits their business needs. This session will share how this market is expanding well beyond the SMB and how you can take advantage of this opportunity to grow your business. Find out how ShoreTel enables the mobile lifestyle with a comprehensive suite of mobile applications. The new ShoreTel Teams informal collaboration app works in harmony with the refreshed and redesigned ShoreTel Mobility enterprise communications app to provide unsurpassed abilities for users to work on-the-go. See them in action and get a look ahead at future enhancements. Google Apps dominates Microsoft Office in key ShoreTel verticals including K-12/Higher Ed, as well as being a strong choice for cloud-minded SMBs. Find out how ShoreTel’s new Google integrations unlock opportunities and increase your addressable market, see it in action, and get a preview of future integration plans. 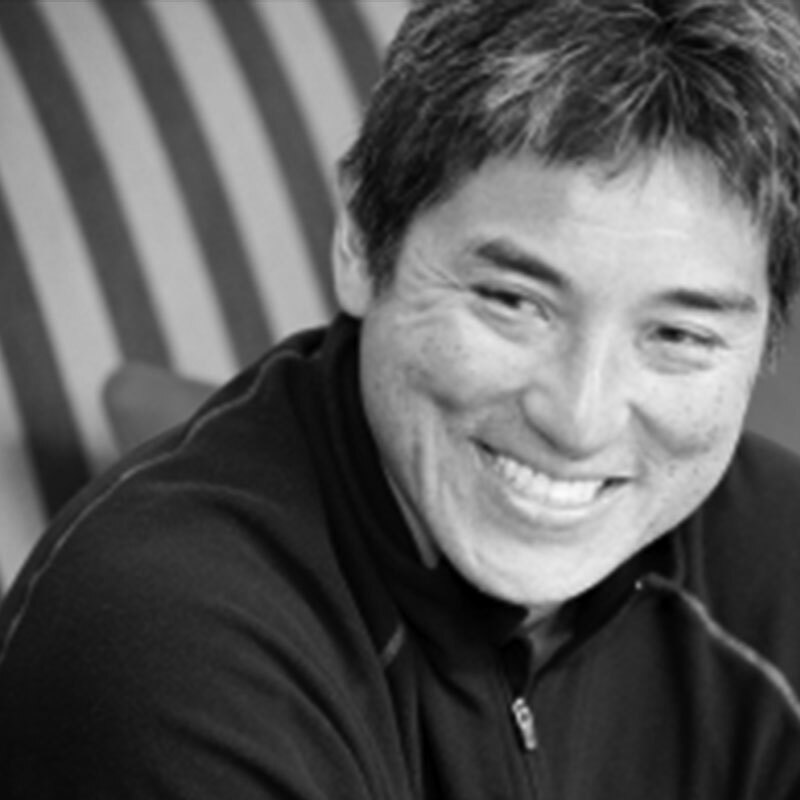 Guy Kawasaki, former chief evangelist at Apple and advisor at Google’s Motorola business unit, author of multiple New York Times best-selling innovation and entrepreneurship books, and current chief evangelist at online graphic design tool firm Canva. Guy has a BA from Stanford University and an MBA from UCLA as well as an honorary doctorate from Babson College. Kawasaki, author of The Art of Social Media, The Art of the Start, APE: Author, Publisher, Entrepreneur, Enchantment, and nine other books, will present a keynote on creating innovative products and services using tactical and practical techniques and his latest insights into social media innovation, entrepreneurship, and online marketing. Scott Bloom is a veteran comedian and television personality who has been actively working in the corporate market for the past 15 years. 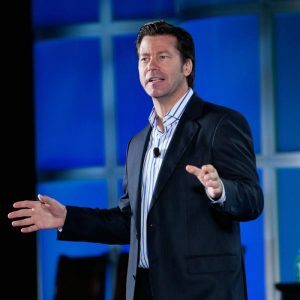 In addition to hosting over 300 corporate events for Fortune 500 companies, like VERIZON, IBM, General Motors, Merck and American Express, he has also had a successful career in television. Most recently, Scott was the host of his own weekly VH1 series. This past year he did some hosting duties for Game Show Network and Comedy Central, and co-hosted a national simulcast of the Grammy Awards from the Palace Theater in Los Angeles for Discover Card. He has also appeared on Comedy Central’s Premium Blend, Comedy Central’s Reel Comedy, A&E’s Caroline’s Comedy Hour, Evening at the Improv, and A&E’s Comedy on the Road. Scott is a national headliner on the stand-up comedy circuit and has performed in Las Vegas at both Harrah’s and the MGM Grand casinos. Presently, he is developing several game shows for FOX, CBS, and syndication. Don Joos was appointed CEO in August 2013. He has a proven track record of building and transforming businesses through innovative growth plays, and brings a wealth of strategy, operations and execution experience to ShoreTel. Joos joined ShoreTel in April 2011 as vice president of global services, and later served as senior vice president of business operations overseeing company operations through the direct management of engineering/R&D, product management, global support and services, IT, quality and operations. 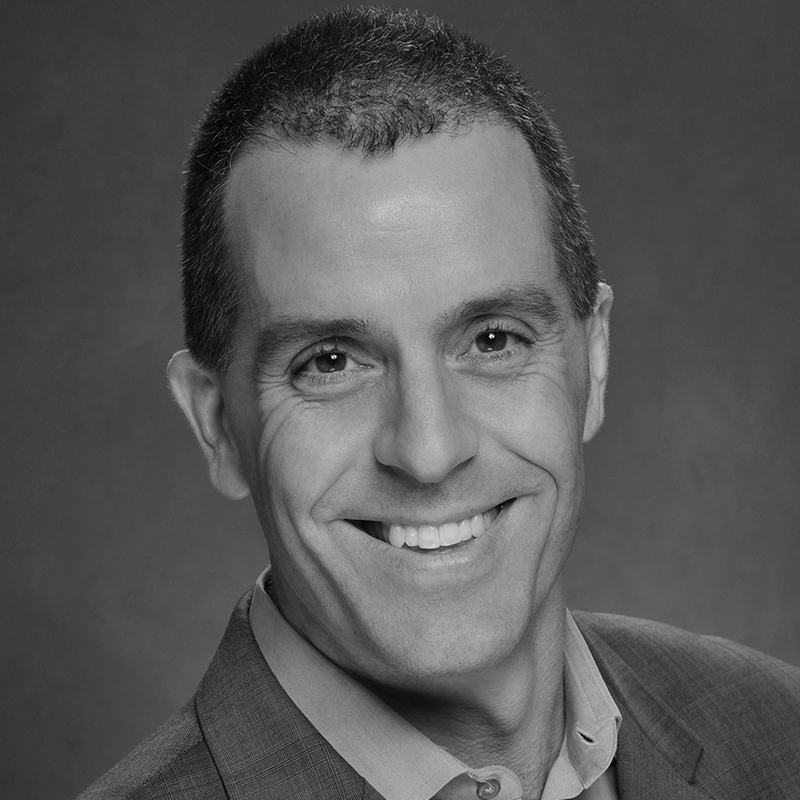 Prior to joining ShoreTel, Joos spent nine years as a company vice president at Avaya. Joos applied his business entrepreneurial capabilities helping to build an e-commerce startup and has held service and operational roles at Williams Communication Solutions, Nortel Communication Solutions and Marshalls Inc. He holds a bachelor's degree in sports management from Springfield College in Massachusetts. 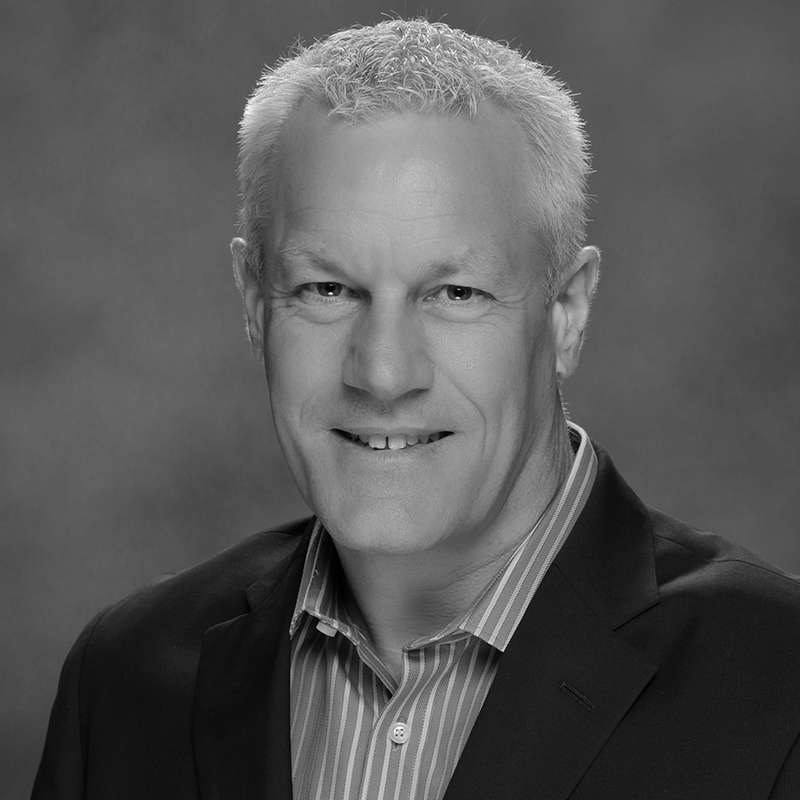 David Petts joined ShoreTel in 2012 as senior vice president worldwide sales and customer success. Petts’ expertise strengthens the ShoreTel sales organization and reinforces the drive for growth. Petts came to ShoreTel from Nokia, where he spent seven years in sales leadership roles. While there he Led global sales, marketing and services of security and mobility solutions for business customers, the global relationship with AT&T and drove long-term strategy, implementation and execution. 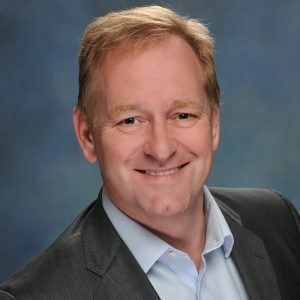 Prior to Nokia, Petts held a number of executive management roles with Hewlett Packard (HP) and Compaq in both the U.S. and U.K. Petts holds a bachelor's degree in economics and quantitative studies from Queen Mary College, London University. He is based out of the New York office. Mark Roberts joined ShoreTel in December 2013 as chief marketing officer, bringing 20 years of technology sales, marketing and product management experience. Roberts has spent most of his career at technology companies, holding senior positions at Mitel, NexTraq, Polycom, 3Com and Intel. While the CMO at NexTraq, he implemented changes in marketing functions that resulted in a substantial increase in new business coming from marketing activities, and his revamping of product positioning and sales tools contributed to overall business growth. As ShoreTel’s CMO, Roberts leads marketing strategy, product marketing, demand generation, branding and external communications. He holds an MBA in marketing from Leicester University in the United Kingdom. Eugenia Corrales joined ShoreTel in July 2015 as senior vice president of product. 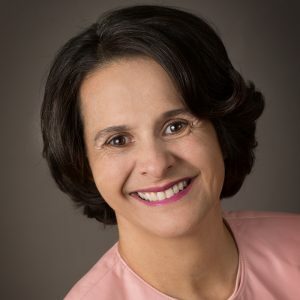 She is responsible for the ShoreTel product roadmap, product management, product development and product quality, as well as the network infrastructure for the ShoreTel hosted solution. Corrales is a tech industry veteran with more than 25 years of experience in developing innovative products, establishing business development capabilities and building operational excellence. Before joining ShoreTel, Corrales was VP and general manager of Cisco’s Computing Systems Group, a multi-billion dollar business unit. Prior to that, she was responsible for business development, strategic planning and operations for Cisco’s Data Center Group. Other leadership roles include CEO of Nanosolar, CEO and co-founder of Sunmodular, VP of Engineering for SolFocus, as well as VP of product operations at Cisco. She holds a Master of Science in Mechanical Engineering from Stanford University and Bachelor of Arts in Physics from Grinnell College. "An excellent venue for networking with top ShoreTel partners." "We can interact with all of our ShoreTel customers and prospects in one place." “Strengthen business relationships, gather new business leads and stay current." Meet 40 ShoreTel Technology Partners in the Solution Center and learn how you can grow your ShoreTel business with these innovative solutions! From advanced applications in the cloud and onsite to wireless systems, you can engage with business professionals who will work with you to build solutions integrated with ShoreTel Connect that solve real customer problems and drive differentiation and additional revenue streams for you. Looking for the latest insights and answers to questions about ShoreTel product offerings from subject matter experts? Be sure to visit our booth located in the Solution Center exhibition hall. ShoreTel solution architects and product managers will be on hand to discuss specific challenges your customers are facing in their daily business interactions, identify ShoreTel solutions designed to help you meet their specific needs and demonstrate how our unified communications drive productive collaboration. Check back here frequently to see all the cool stuff the ShoreTel One Global Partner Conference has to offer. We’re excited to announce 3 Doors Down as our special musical guest for the Champion Partner Awards Dinner at ShoreTelOne! American rock band, 3 Doors Down, has been wowing crowds for the past two decades with numerous multi-platinum albums and chart-topping hit singles like “Kryptonite”, “Here Without You” and “When I’m Gone”. Wednesday’s Awards Dinner will not only be packed with awards and surprises, but this private concert from world-class musicians is one you won’t want to miss. FLY IN, DRIVE HOME: Win a Mini Cooper! Generate MRR bookings and you could qualify for a raffle to win a 2016 two-door Mini Cooper hard top (or cash equivalent) during the 2016 ShoreTelOne Global Partner Conference! Click here for promo details. FREE CERTIFICATION & MARKETING TRAINING: Reserve your Seat! ShoreTel is offering free certification and social marketing training before the ShoreTelOne Global Partner Conference on Sunday, December 4 and Monday, December 5, 2016 at the Gaylord Palms Resort. Click here to learn more and view the Pre-Conference Certification Course schedule. DISCOUNTS & SAVINGS: Register Early! Check with your PBM for details and complete your registration by November 7 to take advantage. ShoreTel has negotiated a nightly guest room group rate of $169.00 per night. Space at the Gaylord Palms is limited. Please book your accommodations early. The cut off date for the conference rate is November 4th, 2016. Enjoy the holiday spirit at the Gaylord Palms with an award winning preview of ICE! Discounted tickets available for all conference attendees. Enjoy the hand carved display while at ShoreTelOne. Guests must cancel 72 hours prior to arrival in order to receive a full refund of one night’s deposit, plus tax. Taxis are available at any terminal at Orlando International Airport (MCO). The estimated one-way fare between Orlando International Airport and Gaylord Palms Resort & Conference Center is $70 and will take approximately 30 minutes without traffic. Gaylord Palms partners with Mears Transportation, a company providing Orlando transport service for over 60 years, to ensure you have a top-notch experience. A member of Mears Transportation can bring you from Orlando International Airport to the hotel as part of their 24-hour airport shuttle service. There is a charge of $36/round trip for this service. This shuttle does stop at multiple resorts. Charter upon arrival at the airport or secure your shuttle reservation in advance by calling Mears Transportation’s 24-hour reservations line at (407) 423-5566. To receive a discount, please click here. Gaylord Palms Resort guests have exclusive access to the Everglades-inspired Cypress Springs Family Fun Water Park in Kissimmee. When it’s time for a tranquil escape, head for the South Beach Pool, an adult-only tropical oasis in Kissimmee. Lined with palms and capturing a sophisticated South Beach flair, the pool features a covered restaurant and bar. Reserve a cozy poolside cabana to cool off in the shade, take in a breathtaking view, watch your favorite TV program and order a frosty drink. “I continue to network with people whom I met at the conference." "A great venue to 'Connect' with marketers from other VAR’s to share ideas. " -Jeff Becker, Director of Marketing, ATI Advanced Telecommunications of Illinois, Inc.
or owner, this is an experience not to be missed! When is the 2016 ShoreTelOne Global Partner Conference? The ShoreTelOne Global Partner Conference will be held December 6-8, 2016. The free certification training and social marketing sessions will be held prior to the start of the main conference on December 4-5, 2016.
Who is eligible to attend this conference? All current ShoreTel authorized reseller partners. What is the appropriate attire for the ShoreTelOne Global Partner Conference? The appropriate attire for the event is business casual. The Awards Dinner Event is casual. Thursday, the last day of the conference will be an Orange Out day!! We will be giving away new Orange t-shirts at the conference. Everyone is encouraged to wear orange on Thursday in support of our amazing ShoreTel community. Which airport do you recommend I use? How do I register for the 2016 ShoreTelOne Global Partner Conference? Click here to register now OR you will be sent an invitation directly from the ShoreTelOne Global Partner Conference email(ShoreTelOneGPC@ShoreTel.com). Is there a registration fee to attend this conference? $500.00 USD. Travel and accommodation is not included. Can MDF funds be used to cover the Conference registration fees? Yes, for every two attendees registered by a partner company, the third attendee’s conference registration fee can be submitted to MDF for reimbursement. Please contact your ShoreTel PBM for details. You must register by October 3rd to qualify for MDF reimbursement. The Conference fee covers planned activities from the afternoon of Tuesday, December 6 to Thursday, December 8, 2016 including keynote, educational sessions, Global Partner Conference Awards Dinner, and food & beverage throughout the session. Can I invite a guest to attend the Global Partner Conference Awards Dinner? One guest per registered individual is invited to the Global Partner Conference Awards Dinner. The additional guest fee is $200.00 for the Awards Dinner. How many people can we bring to this event? Is there a limit? We welcome and encourage all partner owners, executives, sales reps, marketing reps, and technical sales engineers to attend and there is no limit to the number you may bring. Will I receive confirmation of registration? Will certification training be available at the Global Partner Conference? Yes. Certification and Social Marketing training is being offered on December 4th & 5th. Details are available under pre=conference training located – here. What do I do if I need to cancel my registration for the event? If you cancel your registration prior to November 4, 2016 you will receive a full refund. No refunds will be issued for cancellations made after November 4th, 2016. To cancel your hotel reservation, please contact the Gaylord Palms directly at (407) 586-0000. Please contact us with any further questions. Will there be a golf tournament this year? No, there will be no golf tournament this year. If you are interested in securing an individual tee time at Celebration Golf Club, please call the Gaylord Palms concierge at (407) 586-2236. How do I qualify for a chance to win the Mini Cooper or cash equivalent? Partners with $2,500 in ShoreTel CLOUD MRR bookings qualify for a raffle ticket. Earn additional raffle tickets for each incremental $1,500 in booked ShoreTel CLOUD MRR. Three semi-finalists drawn at random will take the stage, draw a key and attempt to start the car. All global partners are eligible except Value Added Distributors, Direct Market Resellers and Service Providers. Promotion runs from April 1, 2016 through November 30, 2016. Participant must be present to win. The ShoreTelOne Global Partner Conference will be held December 6-8, 2016. Where can I find the agenda and additional conference information? Click here to view the agenda on the ShoreTelOne Global Partner Conference website. Does the Conference fee include air or ground transportation? No, it does not. Hotel and air costs are the partners’ responsibility. Does the Conference fee include my room charge? No. You are responsible for your own travel and lodging expenses. Do I need to make my own hotel room reservations? Yes. The opportunity to reserve a room at Gaylord Palms Resort & Convention Center is available when registering online for the conference. Is there a discounted hotel room group rate offered at the Gaylord Palms Resort for the conference? Yes. ShoreTel has negotiated a nightly guest room group rate of $169.00 per night for stay commencing on December 5 through December 8, 2016. Each room night will be assessed a resort fee of $20.00 per day as well as applicable state and local taxes, for a total of $202.03 per night. The rate includes complimentary internet access in your guest room. The cutoff date for the conference rate is November 4, 2016. Please click here to book your hotel room. Question: Can I contact the resort directly to book my hotel room nights or should I book online? When you register for the conference, you will be provided with a link to the Gaylord Palms Resort & Convention Center where you can make reservations at the discounted group rate. Please book all rooms through this link. If you need to change a room reservation, please contact Gaylord Palms Resort & Convention Center at 407-586-0000. How do I obtain my hotel reservation confirmation number? Once you’ve booked your hotel reservations online, you will receive your hotel confirmation via email from Gaylord Palms Resort & Conference Center. You may contact the Resort at 407-586-0000 if you do not receive confirmation within a week of making your reservation. What if I need special room arrangements (e.g., adjoining room, special access, additional bed, etc.)? Any needs associated with your hotel reservations should be made by contacting Gaylord Palms Resort & Convention Center directly at 407-586-0000 and speaking with a Reservations Agent. Check-in for all attendees is 3pm Checkout time is 11am. How do I make changes or cancel my hotel reservations? Any changes to your hotel reservations should be made by contacting Gaylord Palms Resort & Convention Center directly at 407-586-0000 and speaking with a Reservations Agent. How do I arrange shuttle transportation and what is the cost? Mears Transportation (www.mearstransportation.com) offers shared shuttle service to/from Gaylord Palms Resort & Conference Center. Riders may purchase shuttle tickets at the Mears walk-up station at the airport. The fee through Mears Transportation is $37 USD round-trip. Click here for a discount coupon. What are the parking details if I am driving to the event? Parking at the hotel is $20.00 per day and valet is $27 per day. This does include in and out for visiting and hotel guests rates plus 13% tax. What is the deadline to order discounted Disney tickets? If you would like to enjoy Disney and all its offerings while you are in Orlando, the deadline to order discounted tickets is Thursday, December 1, 2016. Please click here to visit our ShoreTel specific ticket site or call (407) 566.5600 to purchase tickets by phone. If I want to plan activities within the surrounding Orlando area, whom should I contact for assistance? Click here to download information and contacts for activities in Orlando, including Disneyworld, Universal Studios Florida® and Sea World.